Today a lot of termite control products are available. 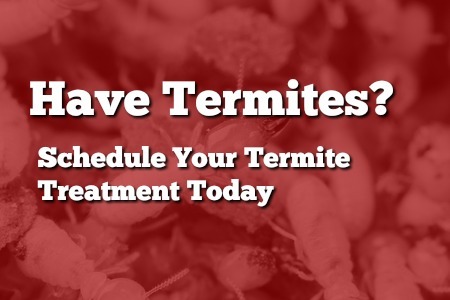 Learning how Termidor has rapidly become the #1 termite solution in the United States is the best way of determining which one is the best solution for your termite problem. A new nonrepellent chemical technology is used to make Termidor. Across the whole of the United States and around the world, it has proven itself to be 100% effective and no other type has ever reached these standards. In more than nine years, no sign of reinfestation has been seen by the U.S Department of Agriculture. Termidor certified professionals have treated more than 1 million U.S homes infested with termites. For this reason, they have been rewarded with remarkable results for their customers and their businesses because it has been on market since March 2000. Termites are smart to know whether something as deadly as Termidor is there so they stay away from it. The good thing, however, is that Termidor is not detectable by termites. This means it can’t be seen, smelt, tasted or avoided. Instead termites ingest, contact and share Termidor, completely unaware that it will inevitably kill them. Termites die when they eat Termidor-treated material. But Termidor doesn’t stop there. Termites ingest and contact Termidor as they go about their normal routines because they can’t detect Termidor. Termidor’s unique ‘’Transfer Effect TM’’ elevates its effectiveness to a whole new level. Termidor is transferred from a termite to another whenever touched and it becomes a carrier. Termites become secondary carriers transferring from one to another and so throughout the entire colony. Termites have ample time to spread because Termidor is engineered to be slow-acting. This unique, spiraling process is called the “Transfer Effect” and it helps Termidor deliver devastating results that are unmatched by any other product, including other undetectables—100% control in 3 months or less. 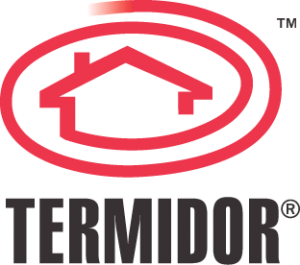 Termidor is a liquid like many other termite control products but that’s where the similarities end. Older liquid termite controls are repellents, which not only termites can detect, but also take great pains to stay away from and circumvent. A secure repellent barrier is virtually impossible to maintain around your home. Since Termidor is undetectable , termites neither avoid nor find a way through it. It is applied in low rates. The active (fipronil) is only 0.06% of the solution, a concentration much lower than that of older liquids and less than most insecticides. About 8 ounces of the active ingredient is actually used for average home treatment. Termidor has no smell so your family won’t notice a thing. Termidor is the only termite control that combines a unique mode of action, 100% control, a long residual, and the ability to manage colonies faster than a baiting system all in a low-dose, low-odor formulation that meets the stringent standards set by the Food Quality Protection Act. Simply put there is no better choice for termite control. Remember that periodic inspections by your licensed Termidor certified professional are required. Plan an appropriate inspection schedule with your professional. America’s #1 termite control with over 1 million homes treated since 2000. 100% control. No excuses. No exceptions. “Transfer Effect” through affected insects that spread Termidor to the colony before dying themselves. Can eradicate colonies in a maximum of 3 months and up to six times faster than ordinary baiting systems. The world’s most effective termiticide — over 9 years of test data proves 100% effectiveness. The treatment is issued in low doses and has no smell whatsoever. The product can only be applied by trained Termidor certified professionals.